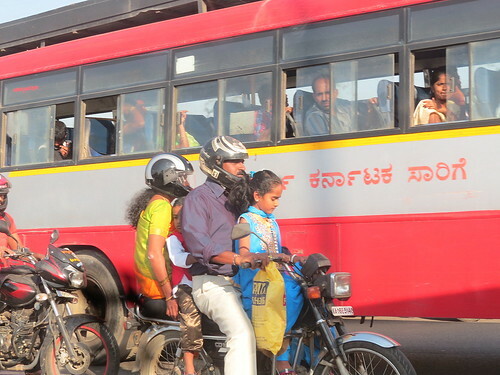 Recently, the Bangalore Traffic Police made it mandatory for pillion riders to wear helmets. It’s been a law, for some years now, for two-wheeler drivers to wear them. This was not on any side road, it was on the main highway leading to the airport from the city. 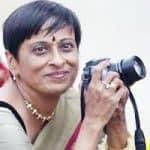 I’ve had a neurosurgeon neighbour, and two of my surgeon brothers in law, tell me what horrific head injuries can happen when a two-wheeler is involved in an accident. The pillion rider can, in fact, be thrown even further than the driver, and head injuries are even more likely to happen. So the wearing of a helmet is more to do with one’s personal safety; the law is secondary. But one would think that at least the threat of a fine would make two-wheeler riders comply. One would think that one’s children are very precious to one. But the attitude is always that “such an accident won’t happen to me.” How else to explain a family of four on a two-wheeler (illegal in itself) with the children not wearing helmets? Another problem is that our traffic police do not sustain the enforcement of rules. While a “drive” is on, people are caught and fined. After that, it’s back to business as usual. I hope the family made it home safely…and that they buy their children helmets, too, as they brave the chaotic traffic of our city.